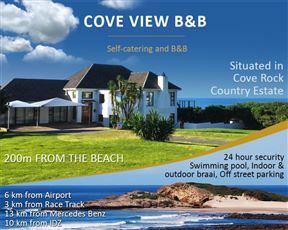 Cove View B&B (Self-catering) is situated along the Sunshine Coast. This little piece of paradise encompasses country and beach living. It is also only ten minutes away from the closest shopping Centre. We are 7 km from East London Airport, 10 km form IDZ (Industrial Development Zone), 3 km from the Racing Track and 13 km from Mercedes Benz. Here you will find nature at its best. 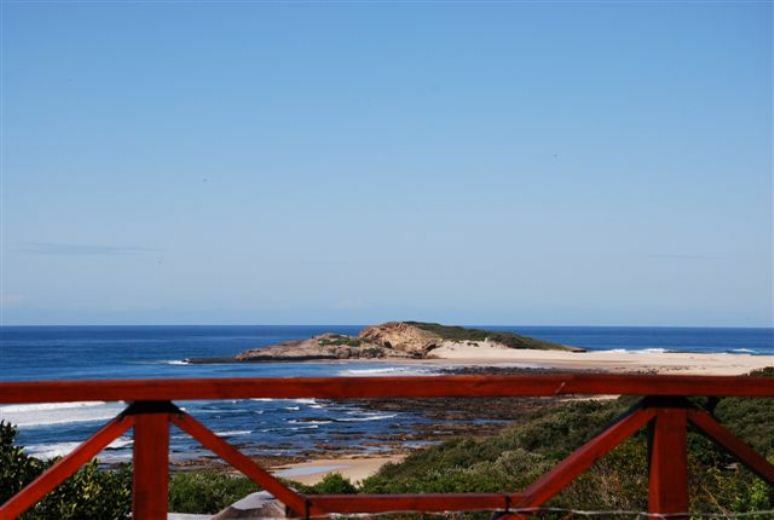 The estate offers buck, peacocks and guinea fowl that roam around freely as well as access to one of East London’s finest beaches and fishing spots. The beach is sandy white and has a small swimming cove and plenty of gulley for snorkeling. 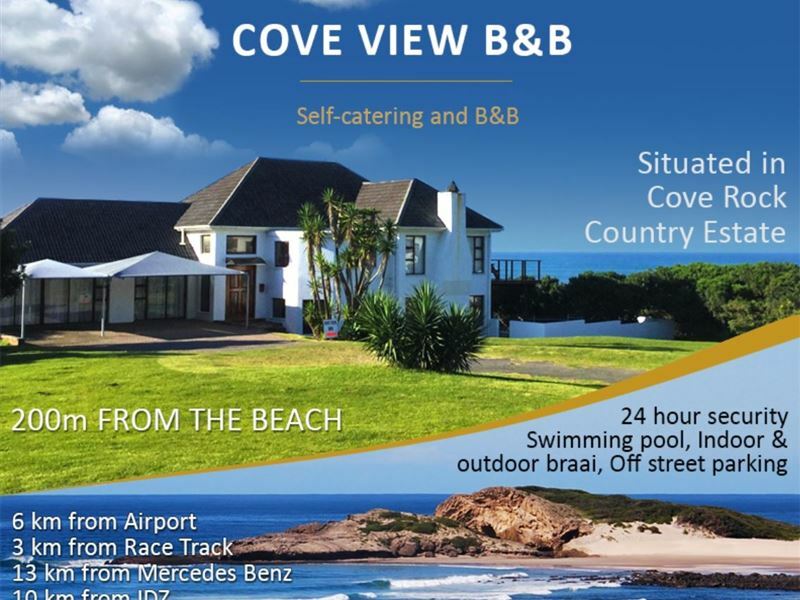 Dolphin and whales can be seen frolicking in the surf and of course, the legendary Cove Rock which is steeped in South African history. 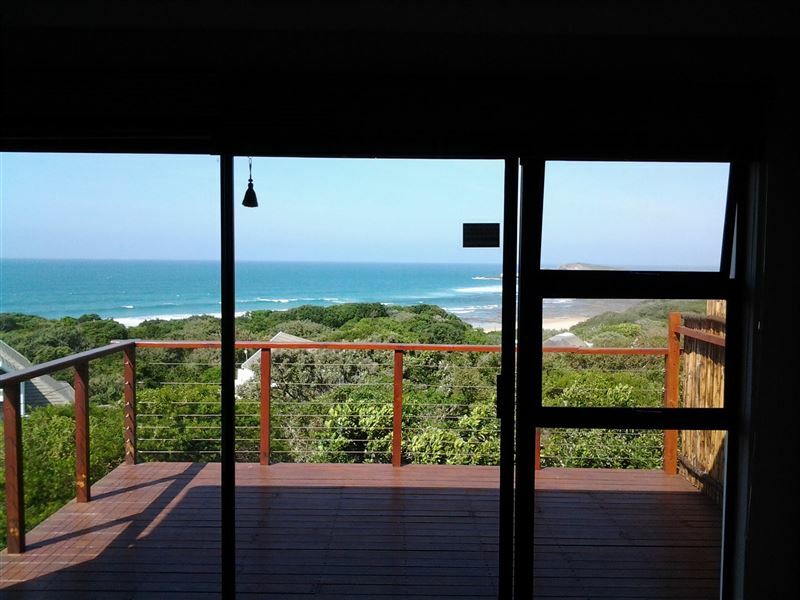 The entire view from this upstairs level offers a truly magnificent 180% view of the beach and the Rock. 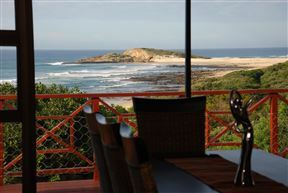 Sitting on the deck, with a cocktail in hand and a braai going on the side is surely a little piece of heaven. Rooms are as follows; the Cove View Room with a queen bed (en-suite bathroom) and 180 degree sea view, the Blue Rock Room with a double bed (en-suite bathroom),the Family Room with a Double bed and two single beds sleeping four sleep and an en -suite bathroom, Sea Breeze Family Unit features a double bed and two single beds, en-suite bathroom, kitchen and own entrance. 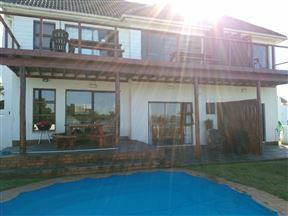 All amenities; Swimming pool, indoor and outdoor braai, DStv in rooms and entertainment area and off street parking. 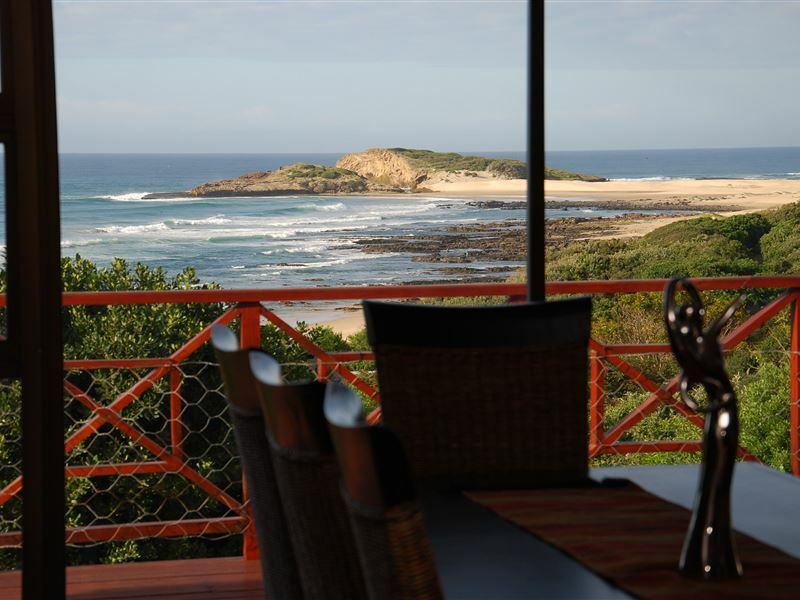 The resort offers: golf club, mashie golf, tennis courts, swimming pool and the lovely beach. 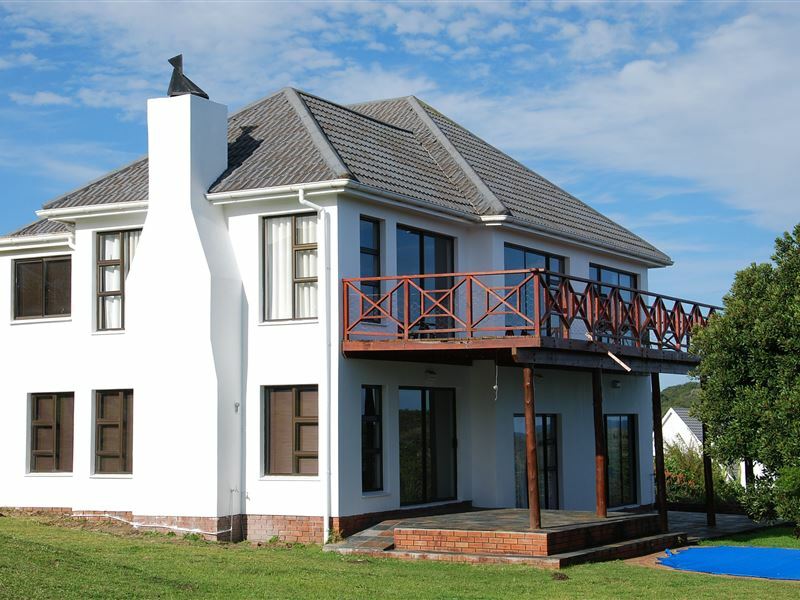 The entire house can be rented out for a holiday house. Long term rentals available on request. This room has two single beds and an en-suite bathroom. 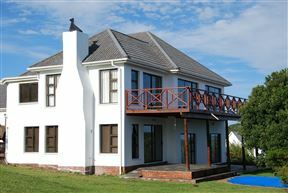 There is a fan, tea and coffee-making facilities and a self-catering kitchen.The room has its own entrance, however can be joined to the Sea Breeze Family Unit. The room has a glimpse of a sea view. This room has a double bed as well as two single beds and an en-suite bathroom. 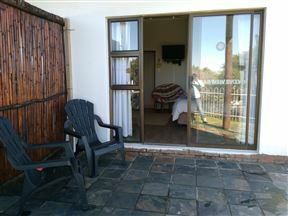 The room is equipped with a self-catering kitchen, a fan and DStv. 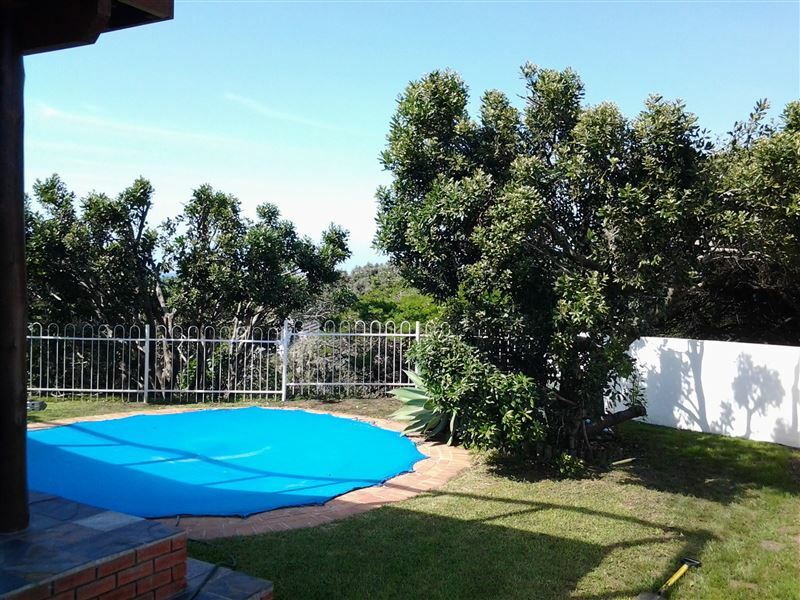 It has a private entrance but can be linked to the Sea Whisper Room for larger parties. Double bedroom with en-suite bathroom with bath and shower. 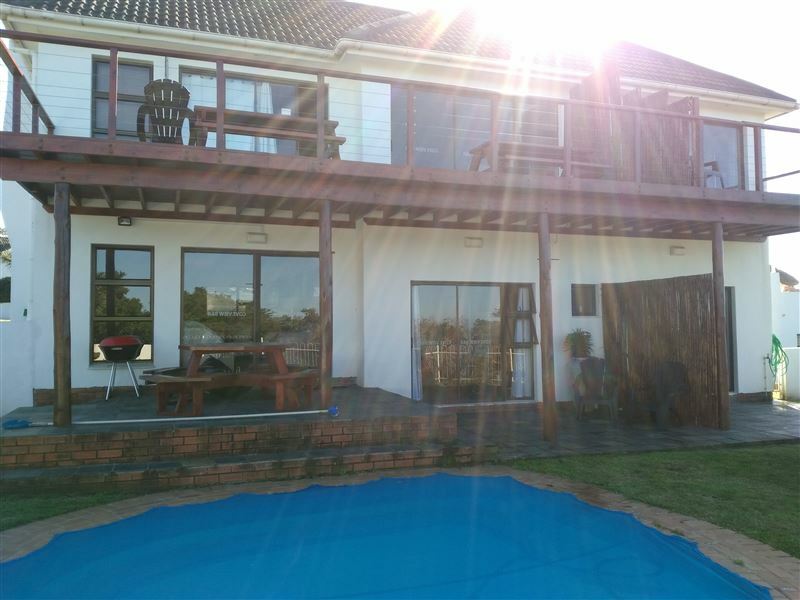 Guests can walk out on the patio and swimming pool. The room is equipped with a fan, tea and coffee station and shares a communal kitchen downstairs and entertainment room. Double bed with an en-suite bathroom. Guests can walk out on the patio and swimming pool. The room is equipped with DStv, a fan, tea and coffee-making facilities and shares a communal kitchen downstairs and entertainment room. Room has 1 x double bed and 2 x single bed with en-suite bathroom with shower, DSTV compact, fan, coffee station and shares a communal kitchen downstairs and entertainment room. 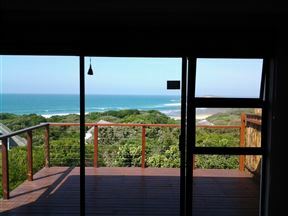 The room has a queen-size bed with en-suite bathroom, 180 degree sea view, air-conditioned, DStv and coffee and tea-making facilities in the room.